Preparing healthy meals can seem like a daunting task. But with the right tools, you can remove a lot of the stress and hard work. There are certain pieces of kitchen equipment that really do make it easier to prepare nutritious food at home, and I am going to share with you my favorites. These 10 tools to make healthy cooking easy make a regular appearance in my kitchen. I use them to help me cook, chop, blend, steam, and zest my way to healthy eating. 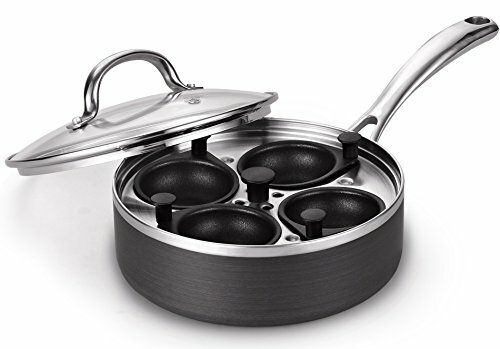 Read on to find out why these gadgets are the mainstay of my kitchen. Use for: Blending soups, smoothies, dressings, vinaigrettes, and homemade baby food. 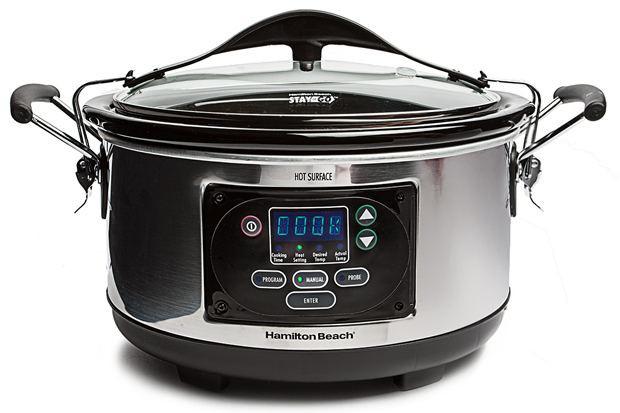 Why I love it: It is extremely easy to use, easy to clean, and enables you to blend soups or purees right there in the pot you are cooking in. No need to fumble in the back of a dusty cupboard for your food processor. Price: $12 – $100 (average ~$30). Use for: Steaming vegetables and fish. Why I love it: Steaming vegetables retains more nutrients than boiling, and avoids the need for oil when frying. 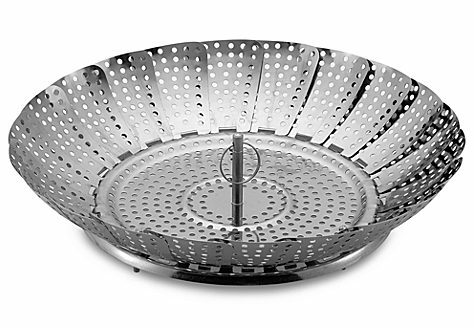 This metal steamer basket is inexpensive, fits in many sized pans, and is nice and small to store. Use for: Grating citrus, spices, cheese, and chocolate. Why I love it: This incredible zester helps you add fresh and healthy flavors to your homemade culinary endeavors with a minimum of fuss. I used to avoid any recipe calling for lemon zest. Not any more! Use for: Lightly greasing pans, skillets, and baking dishes, and lightly coating vegetables for roasting. 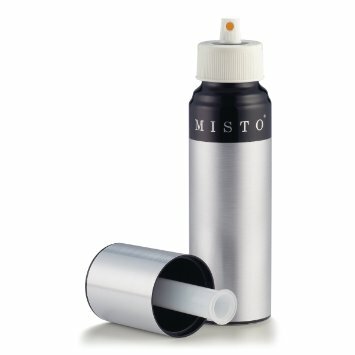 Why I love it: This oil sprayer enables you to use far less oil in your cooking. It contains no chemicals or propellants, and you can fill it with any oil you like. 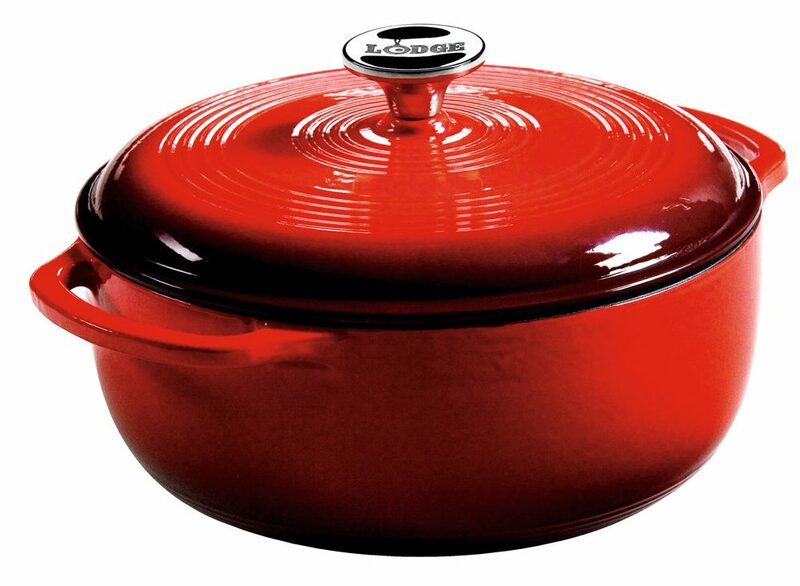 Use for: Soups, stews, braises, breads, roasts, chilis, ragu, risottos, one pot pastas, and more. Why I love it: I am a great lover of one pot meals. There is nothing better than being able to throw all the ingredients in one pot and leave them to simmer themselves into a delicious, healthy meal. Price: $35 – $500 (average ~$75 – $100). Use for: Soups, stews, roasts, baked goods, sauces, and much more. Why I love it: You can prepare dinner in the morning in 10 to 15 minutes, and come home to a healthy, delicious, home cooked meal at the end of the day. What’s not to love? Price: $15 – $130 (average ~$50). Why I love it: I cannot understand why there is not one of these in every home. Poached eggs have such a wonderful texture, but have you ever tried to make one? Unless you are one of the 0.0001% of the population who can do it successfully, you need one of these egg poachers! Use for: Smoothies, dips, pancake batter, dressings, sauces, nut butters, and more. 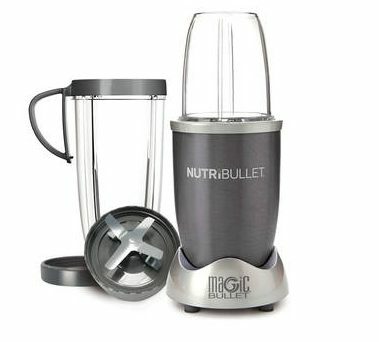 Why I love it: The nutribullet is far less expensive than many other other blenders, and is small, versatile, and easy to use, clean, and store. Use for: Overnight oats, chia pudding, vinaigrette, salads, spice mixes, canning, flower arrangements, and more. Why I love them: They are versatile, inexpensive, beautiful, come in a variety of sizes, and allow me to use less plastic (always a bonus). 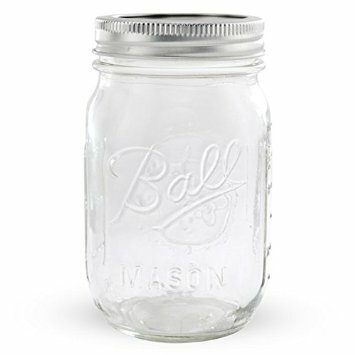 Price: $12 – $20 for one dozen 16-ounce jars. 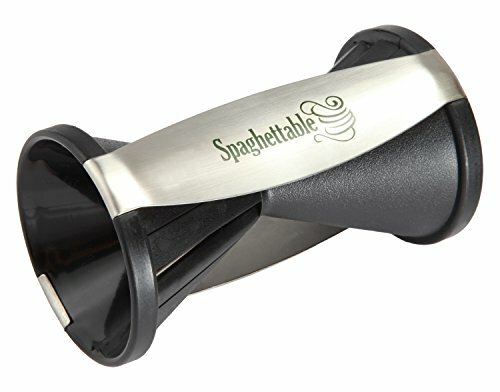 Use for: Turning vegetables into delicious noodles. Why I love it: Vegetables are the cornerstone of a healthy diet. 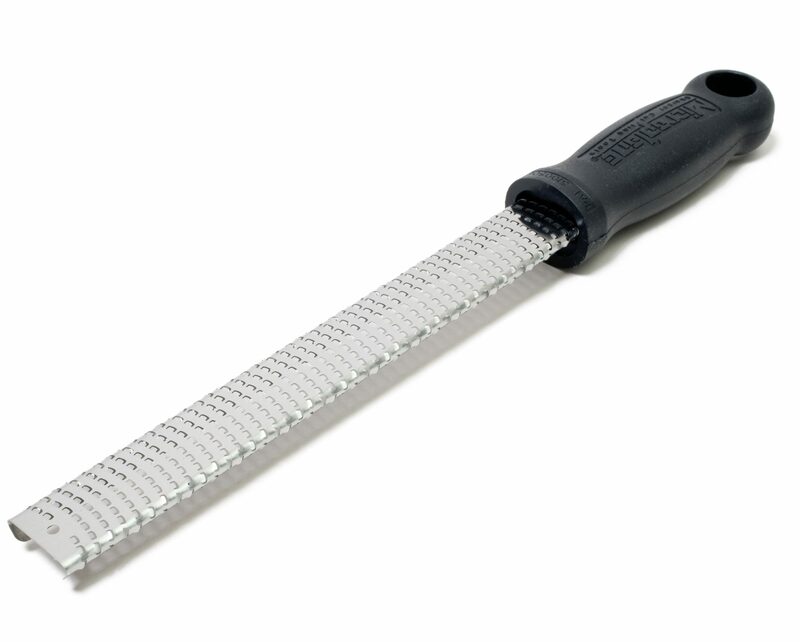 With this tool, I have yet another delicious way to prepare them. Spiralized vegetables are a healthy alternative to pasta, or a great addition to any salad. Price: $10 – $50 (average ~$25). 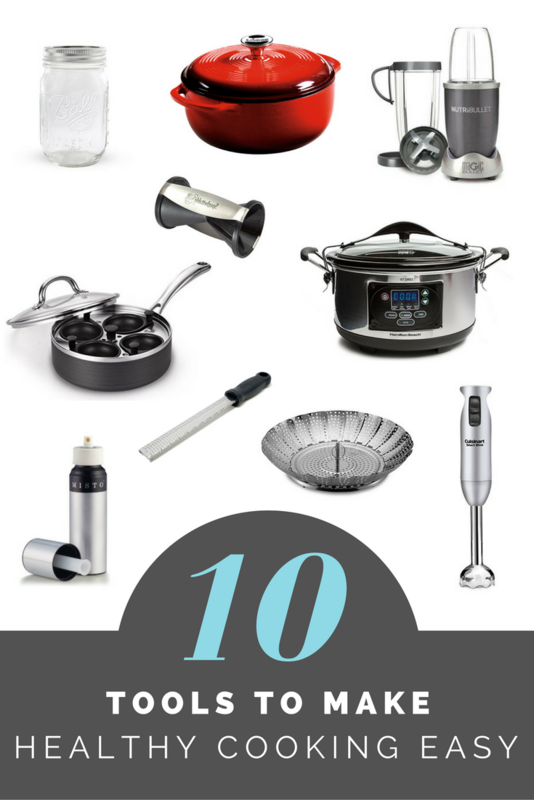 So those are my top 10 tools to make healthy cooking easy. 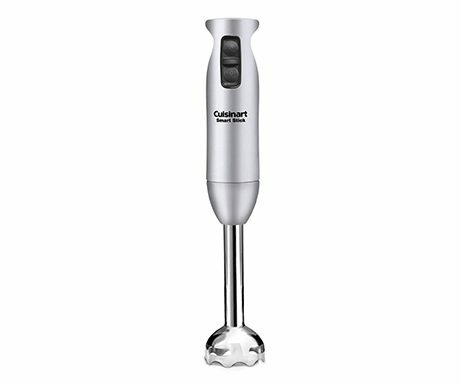 What are some of your favorite kitchen tools? I would love to hear about them! Fantastic list! Why do I still not have a spiralizer?! lol Pinning! Thanks for your comment Sammi 🙂 I didn’t have a spiralizer until my sister sent me one. I love the handheld ‘pencil sharpener’ style one she gave me. It is so easy to just grab and use without having to get a big piece of equipment out of the cupboard.